The stock market is a great concept for kids (or adults!) 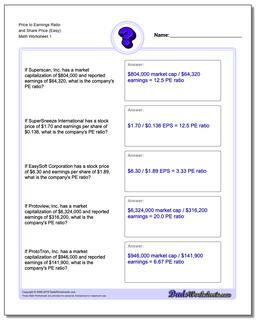 to try out some applied math skills, and the story problems in this section explore financial concepts like P/E ratios, market capitalization and stock prices in a fun way to introduce these concepts. 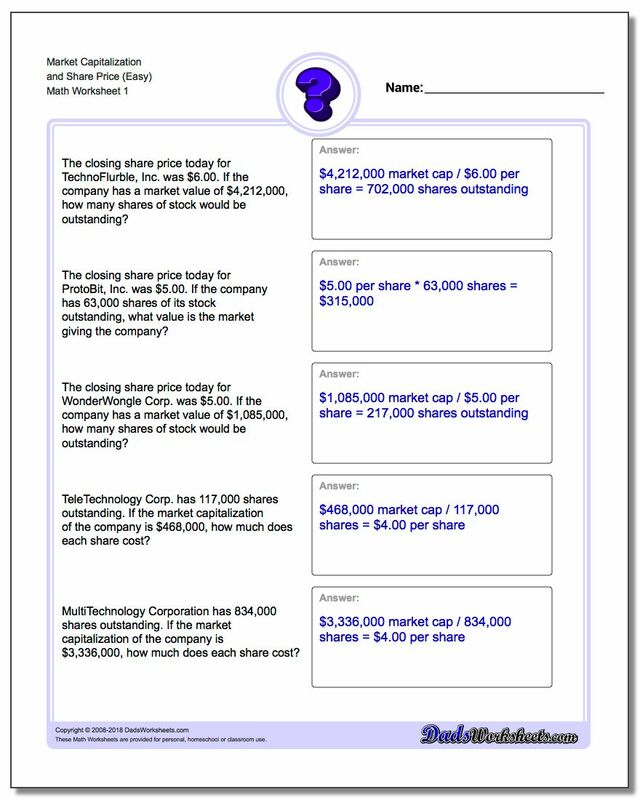 If your students are curious about the stock market and have a basic set of decimal arithmetic skills, these worksheets are a fun way to expore this topic! Problems to calculate market capitalization, share price and outstanding shares. 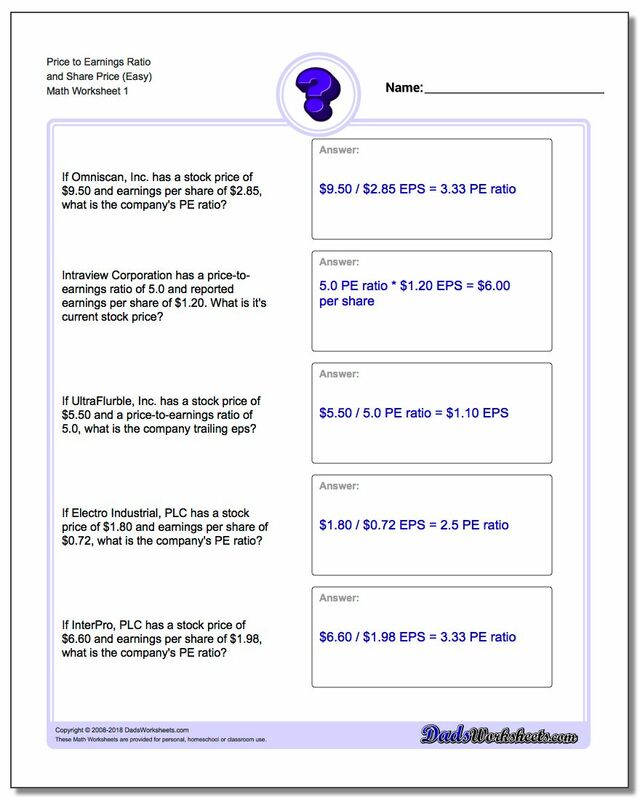 Worksheets for calculating Price-to-Earnings ratios. Another interesting applied arithmetic skill is to use word problems to calculate stock market statistics like price-to-earnings ratios, market capitalization and share price. While these worksheets may involve concepts that are slightly unfamiliar, the math is not beyond a third or fourth grade student's abilities, especially if they have an interest in the stock market or investing. The problems are primarily variations of multiplication and division story problems that calculate particular investing metrics for a given stock. They can be a great introduction to financial concepts for young children, and may even reinforce these concepts for some arm chair investing adults as well!